Ceiling Fan Palao White 81cm / 32" with Light Ceiling fans for domestic and professional environments Ceiling fans with lights < 100 cm / 40"
For rooms with a surface area of 12m² and less Faro offers the product range PALAO with various versions. The white version is stands out due to its simple elegance and functionality. The integrated ceiling light provides pleasant lighting and therefore helps to efficiently use the limited space in already small rooms. 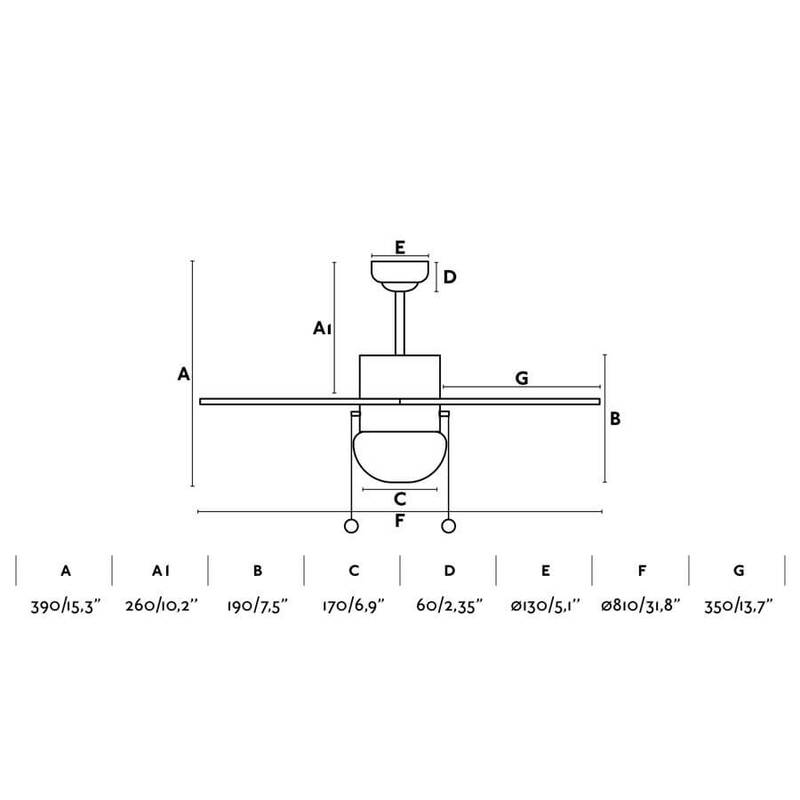 The distance between ceiling and fan blades can be selected individually. 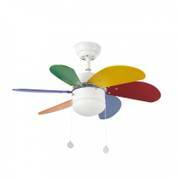 This makes the ceiling fan Palao a perfect alternative for the use in smaller rooms.